Distributed By – RMG Chart Entertainment Ltd.
Disc 2 is a bonus disc of remixes. Additional Pro Tools @ The Edit Suite. Recorded & mixed at The Beauchamp building, London, UK. Track 2-18 remixed for Kingsbury Studios. Track 2-19, 2-24 & 2-25 remixed for CEC Management. Track 21 remixed for Big Life Management. ℗2005 V2 Records International under exclusive license from Gang Of Four. 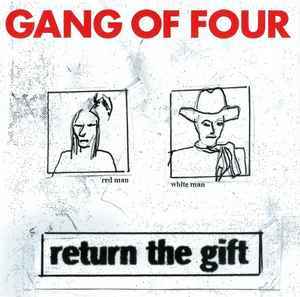 ©2005 V2 Records International under exclusive license from Gang Of Four. V2 Distribution: UK-Pinnacle, Eire-RMG Chart Entertainment Ltd, France-Sony Music, Germany-Rough Trade Distribution GmbH, Austria-Edel Records Austria GmbH, Benelux-C2, Switzerland-TBA AG, Italy-Edel Italia Srt, Scandinavia-Bonnie Amigo. Packaging: Slim double jewel case with a 8-page booklet. Cat# VVR1034432 appears on both spines, back cover, discs, back of booklet and sticker on jewel case. Cat# 707.3443.2 appears on back cover and discs. A V2 logo appears on the back cover. Shipping costs are borne by the purchaser. ATTENTION FOR ORDERS LOWER THAN 10.00 EUROS YOU HAVE TO ADD 1,00 EURO FOR PACKAGING COST, FOR ORDERS SUPERIOR THIS COST IS ON MY CHARGE.